Daniel in the Lion’s Den is a very motivating moral story to build trust in the God. The King Darius gave an opportunity to Daniel to work above all the higher officers because of his prayerful and humble nature. Daniel came with Shadrach, Meshach and Abednego to the Babylon city. Everybody knew about his three times praying habit. But all the other were jealous of Daniel because King Darius showed more faith on Daniel. So they planned all together made a law that everybody must pray to the King for thirty days. If anybody fails to do so was to be put into the lion’s den. It was their plan to put Daniel in the Lion’s Den as punishment for him. Daniel was praying to Heavenly God three times a day. Daniel came to know about the new law but still he prayed to Heavenly God and broke the new law which was made by jealous peoples. These all officer’s kept watch on him and shared the same information to the king Darius so their plan will be successful. As per the new law the King gave an order to his soldiers to put Daniel in the Lion’s den. King Darius liked Daniel and did not wanted to punish him. Daniel prayed in the lion’s den so, God’s angels protected him and shut the lion’s mouth. Daniel in the lion's den was safe Next morning, king Darius thought of whether Daniel is alive or died. 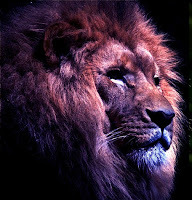 King Darius went near to the lion’s den and called Daniel and Daniel answered to King’s call. Then king gave an order to his soldiers to take Daniel out of the lion’s den. The king Darius made a law that everyone should fear before the living God. The King understood the plan of all the other officers who were jealous of Daniel and he punishes them for what they had done. The King was very happy to see Daniel alive.